Everyone is different. That’s why you create a unique ChoicePad for each person you’d like to support. Personalise Grids specially for them and let them progress through Pathways at their own pace. Quickly build personalised Grids to support your Learner in everyday activities and conversations. Build plans and lists for upcoming events or capture photos during activities and use them to discuss the activities later! Designed by Specialist Speech and Language Therapists to help with Language Development. 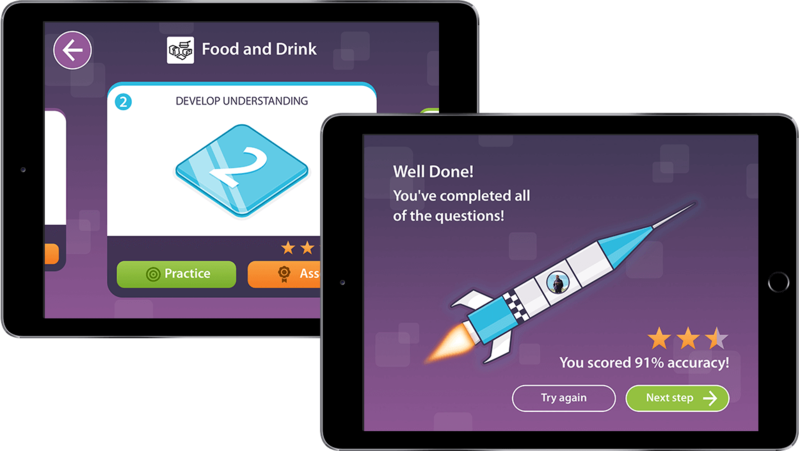 These fun games will help your Learner to improve their vocabulary, develop their understanding and start to build basic sentences. 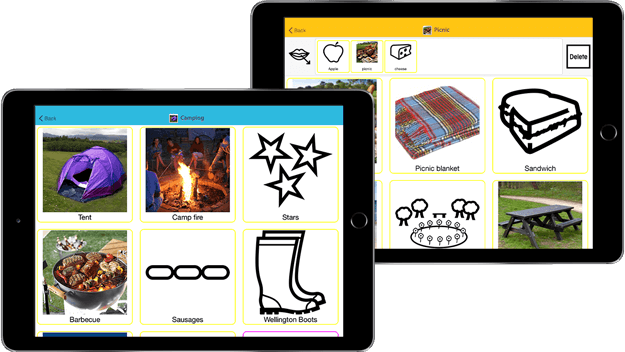 MyChoicePad uses Makaton, a language programme that supports spoken words with Symbols and Signs. By not only speaking a word, but also signing it and showing its symbol, you make communication easier to understand and therefore easier to learn. Never forget a Sign again! 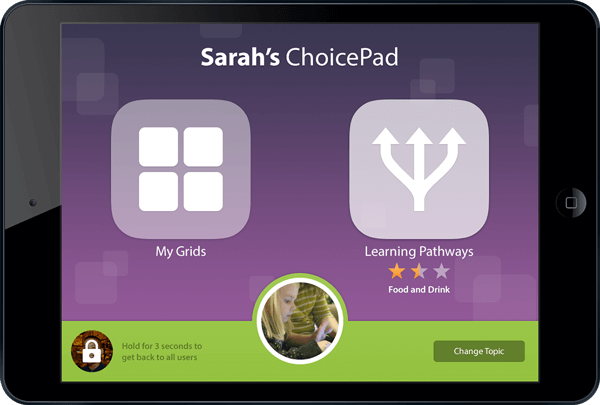 MyChoicePad‘s Library makes it easy to find the Symbol or Sign you need. Browse through over 4000 symbols or use the Search bar to find one instantly. Start a Free Individual Trial! Create a ChoicePad for the person you support! The needs of Organisations were carefully considered when we built MyChoicePad. 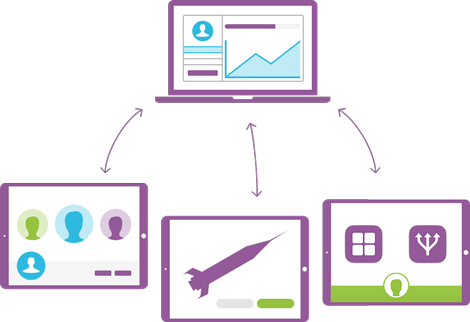 It can be setup quickly, managed centrally and allows you to easily report on the impact your Organisation is having on communication. That’s why it’s already used by hundreds of schools, colleges and adult care environments accross the UK. 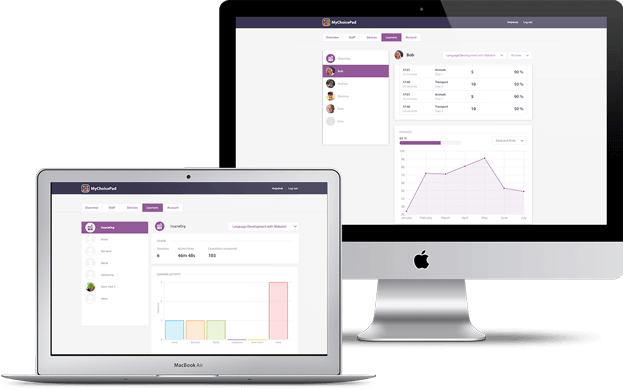 MyChoicePad’s Admin Dashboard gives you everything you need to demonstrate your Organisation’s commitment to communication. See the progress your organisation is making as a whole or zoom in on a particular Learner or Staff Member. 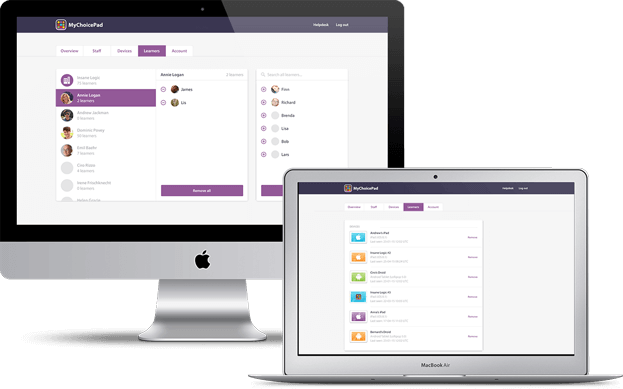 MyChoicePads Admin Dashboard enables you to manage all of your Staff Accounts, Devices and Learners in one place, no matter where they are located. Start a Free Organisation Trial! Create from 5 to 10 to Unlimited ChoicePads for the people you support! MyChoicePad is personalised for every person you support. Clearly demonstrate your commitment to improving communication.